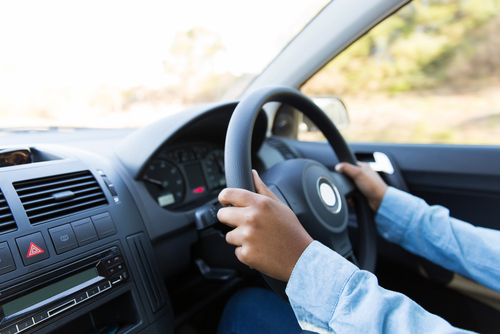 Who Is Responsible When a Driver Blacks Out and Causes an Accident With Bodily Injuries? Is a Driver Who Blacks Out and Causes an Accident at Fault? If the driver claims they blacked out before an accident they have to prove that they suddenly and unexpectedly loss consciousness to not be held responsible. What happens if you cause a car accident because you lose consciousness? Are you responsible for compensating those who are injured? Should the at-fault driver be held liable for consequences of events over which they had no control? Should the innocent accident victim(s) be barred from recovery for their injuries? Under Florida law, the operator of a motor vehicle may be held liable for damages when they negligently cause injury to another person in an accident. There are cases in which the driver of a car may claim a sudden and unexpected loss of capacity as a defense to their negligence. Essentially, this comes down to an argument that the driver who caused the accident could not have reasonably foreseen they would have suddenly passed out. It is a very fact specific defense. John was driving down Court Street one evening when he suffered a heart attack, blacked out and crossed the median, crashing into Susan, causing serious bodily injuries. If John can show he actually lost consciousness before the accident, the sudden loss of consciousness defense will work in his favor and Susan will not recover her damages. If, however, John was driving down Court Street after a visit to his cardiologist and the doctor told him he had severe heart problems and shouldn’t be driving because he could pass out at any moment, he’d have a difficult time using the defense. His cardiologist’s warning would be reason for him to anticipate the loss of consciousness, and he would be negligent for driving despite the risk. If you have or a loved one has been injured or killed in an accident, call us. An experienced attorney can help you get the financial compensation that you deserve, allowing you to focus on recovery. Have You Been Injured In A Car Accident? If you've been hurt in Florida car accident you should speak with an experienced car accident lawyer as soon as possible. Contact us online or call our office directly at 727.446.0840 to schedule your free, no obligation consultation.